Since Rio Industries Co., Ltd.( Old Name : Riotex Corporation) was established as sewing thread's specialist in 1993, we have been supplying 100% spun polyester yarn for sewing thread etc. to the world market successfully. Thanks to our client's enthusiastic support, we presently hold 50% share of the Korean market in this field and export considerable quantities to the overseas clients steadily. Our Chinese spinning establishment in 1999 had laid the groundwork as the global brand, and now we sincerely would like to announce our big growth in Vietnam be called the post-China. Our new plant in Quang-nam, Vietnam(55,000 square meter) has modern machineries (German blowing, British carding, Japanese drawing, roving, spinning) so we will be leading brand at high quality sewing business. 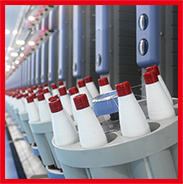 This new plant in Vietnam is mainly producing the spun polyester yarn for sewing thread with newest equipments. (36,480 spinddles, one hundred TFO twisting machines, thirty-two Ring twisting machines) We will keep 50%-market share in Korea and more increase the export volume to all over the world as the global sewing brand. 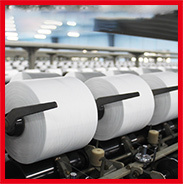 As we have 16s to 62s yarn counts, it can easily meet customer needs at sewing field for various garment. 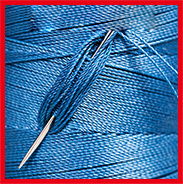 We are proud of ourselves as a manufacturer of sewing thread yarn because there are few factories which have the capability to produce that much quantity while maintaining the highest quality. For our factory information, please click the factory tour. It would be highly appreciated if you could give us your constructive ideas or any comments for our product and company. We are sure that it will help us develop and would be returned to you through continued quality service. We think that it is time for you to feel our service and quality product now. At the right moment of contacting us, we do relieve that you have already succeeded in your business.